Sure, it’s easy to find copywriters. But someone who understands ethical search engine optimization and has a proven track record of results? Not so much. UNTIL NOW. When you’re working with Pam Foster, a freelance Certified SEO Copywriter and web consultant and founder of ContentClear Marketing, you can count on a clear, strategic plan and process that blends SEO with sales copy and content for measurable results. To show you what we mean, check out our SEO Copywriting Samples along with our Clients page. 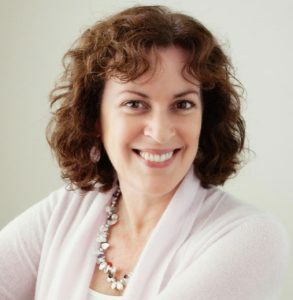 Pam has taken her 30+ years of experience as an in-house marketing communications professional and freelance web copywriter and created the C-Clear Method to develop a thorough understanding of your audience’s needs and your site objectives. And, once we research the best keywords for your business based on what your customers are searching for online, we go to work blending time-tested direct-response copywriting and content-marketing techniques with SEO keywords across all pages of your site. You and your web team can expect compelling, reader-friendly content that brings in prospects and turns them into qualified, eager sales leads and/or buyers. Pam also mentors other writers that we can recommend for your project, and they all must have proven SEO copywriting skills. Together, using our Content Clarity Tools and working closely with you, we can help you determine the best way to reach your target audiences and achieve your content performance goals. That’s because our content services go well beyond just being freelance content writers. We’re focused on a successful user experience; expertly guiding visitors through your site’s sales funnel. When you follow our clear, step-by-step web search optimization method, every page of your site will include benefit-driven, SEO messages that connect with your customers and search engines. We help you do this by demonstrating how your products and services uniquely solve your prospects’ greatest needs. Count on us to address all aspects of managing web page text that works. These include content consulting, site usability and architecture, content writing, SEO, web content strategy audits and other aspects of managing content effectiveness across all pages of a site. Trust our 30+ years of experience in copywriting and content marketing! With over 30 years of marketing communications experience, we’ve written for finance, biotechnology, insurance, retail, veterinary care, nonprofit, small business, direct response, supplemental education, utilities, and many other industries. And we’ve won 100+ marketing awards. Clients have included L.L. Bean, IDEXX Laboratories, Harper College, Pet Health Network, Downeast Energy, Primrose Schools Franchising Co. and many others. We work with virtual teams of web experts — including keyword researchers, web designers and programmers, and marketing teams — as needed to support your staff in creating a sales-focused website. Expect effective results from us. Our work has helped dozens of websites generate countless leads and sales for many years. Please see our Samples page for details. Ready to make your web search optimization or content marketing project a big success?